Today in Masonic History Harry H. Corbett is born in 1925. 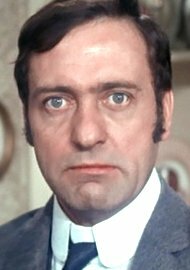 Harry H. Corbett was a British actor. Corbett was born in Rangoon, Burma on February 28th, 1925 where his father stationed. When he was only 18 months old his mother passed away from dysentery and he was sent to England to live with his aunt. He attended Ross Place and Benchill Primary Schools and Sharston Secondary School. During World War II, Corbett enlisted in the Royal Marines serving in the Home Fleet. After VJ-Day he was posted to New Guinea where he helped to quell unrest. Reportedly he killed two Japanese soldiers in hand to hand combat. He was then posted to Tonga. Shortly after he deserted and remained in Australia until turning himself over to the military police and returning to England. After returning to civilian life, Corbett tried his hand at radiography before becoming an actor. It was in the 1950's that he added the "H" to his name. This was to differentiate himself from a performer with the same name who worked with a hand puppet. When asked what the "H" stood for, Corbett would reply "hennyfink" which is Cockney pronunciation for "anything." In 1962, Corbett got his big break after appearing in a variety of movies, television and stage plays. A popular show at the time called Hancock's Half Hour which featured an anthology of one off comedy plays was written with Corbett in mind. He played Harold Steptoe a rag-and-bone man, a person who collects household items to sell to merchants sometimes referred to as a junk collector. Steptoe lived with his irascible father in a junkyard with only their horse for company. The episode was a huge success and a spin off series followed. Steptoe and Son the television show was very popular and ran on British television from the original episode in 1962 until 1974 with some breaks. The show also spawned two movies and the show was re-made in several other countries including the United States where it was called Sanford and Son. There was a stage play that toured. The massive success of Steptoe and Son was a blessing and a curse for Corbett. Because his character was so well recognized, Corbett started to receive only parts that were caricatures of the Harold Steptoe character. He also did not receive any dramatic parts as he had been doing prior to the beginning of Steptoe and Son. Corbett was a heavy smoker and had his first heart attack in 1979. Just a few days out of the hospital and he had a serious car accident. He appeared shortly after in the BBC detective series Shoestring and the facial injuries could be clearly seen. On March 21st, 1982 Corbett suffered a fatal heart attack, he was 57. Corbett was a member of Chevin Lodge No. 6848 in Otley, West Yorkshire, England.